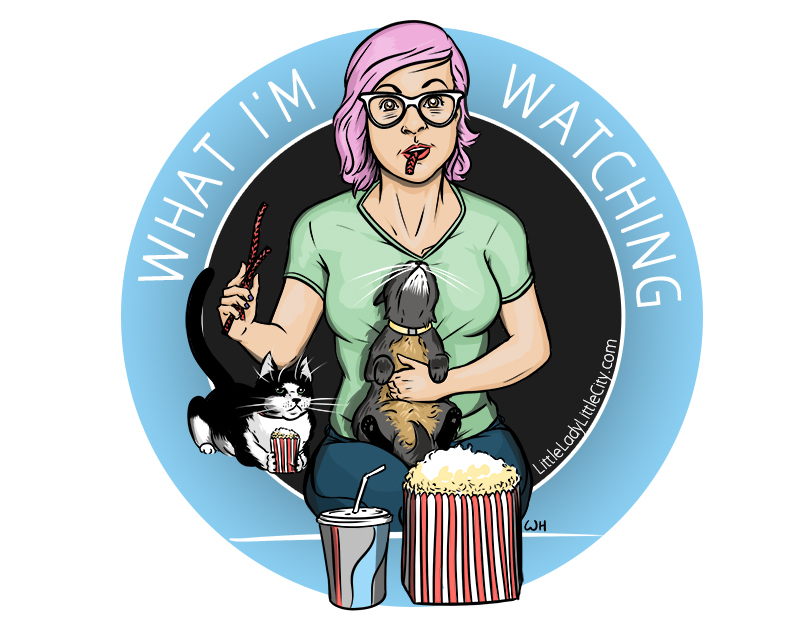 Last week Will and I went to see Mission: Impossible Rogue Nation, and it was amazing! When it comes to the Mission: Impossible movie series I was really underwhelmed when the first one came out, and truth be told the I felt the same way when the second one came out as well. I'm definitely the type of person that more or less keeps giving movies a chance, especially franchises (even if it's just watching it on DVD). I felt that the first two were trying to take themselves a little too seriously, but by the third they had hit their stride. When Simon Peg joined the crew and brought his human and charm with him in Ghost Protocol I was hooked! The marriage of action and comedy can really elevate a typical action movie into something better. Just like most of Tom Cruise's action movies the stunt sequences are insane! Within the first five minutes of the movie we see him hanging onto the side of a plane as it takes off. Within the first. five minutes. On top of that, he did the stunt himself, and you can tell. A little aside about Tom Cruise: I use to not care for him all that much (thought a lot of his movies were overrated) and that feeling compounded when the whole 'glib' and Brooke Shields thing happened. However, time has passed and he's either kept a lower profile or maybe I just haven't been paying attention to him, and my dislike has subsided some. I have more recently been able to enjoy his movies, like Edge of Tomorrow. Did you guys see Edge of Tomorrow? So freaking good! He really does play such a charismatic leading man that I find it hard not to love him now. The Mission Impossible franchise 100% builds on that, and the filmmakers seem to go bigger for each installment. A lot of sequels water down the story with more explosions and action sequences (I'm looking at you, half assed Furious 7), but not so with MI: RN. Since Ghost Protocol the Mission Impossibles movies seem to have found a groove with its core team: Tom Cruise, Ving Rhames (joined on in M:I:2), Simon Pegg, and Jeremy Renner (both joined M:I:III). The addition of Rebecca Ferguson, a badass character who isn't a love interest, was the icing on the cake. I'm really hoping she will show up in the next installment (the franchise doesn't have the best track record with reoccurring female characters, something I'm willing to forgive if they continue adding great characters like Fergusons' in future movies). 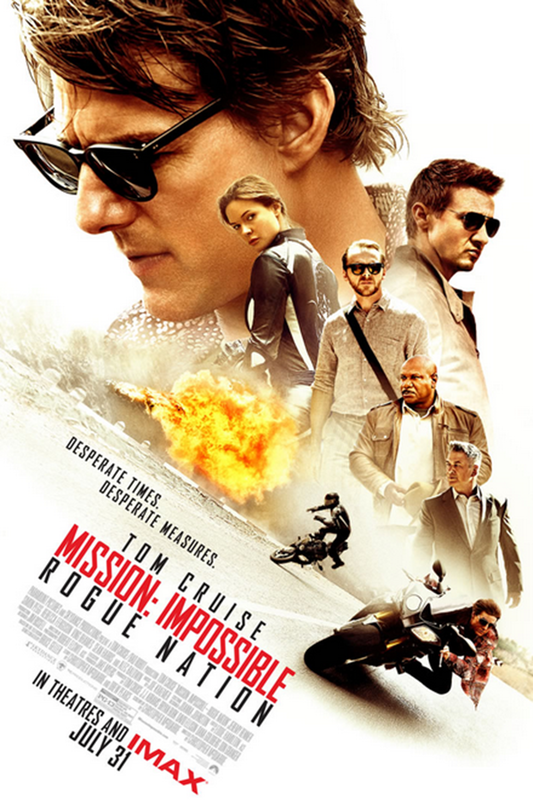 So have you guys seen Mission: Impossible Rouge Nation yet or are you planning on seeing it?